This is one of those cookies that has been a favorite for years. Just like chocolate chips and snickerdoodles, these fall right into the "Classic Christmas Cookies" category. But somehow the recipe never made it to my blog. How is that even possible??? I swear I thought I had posted it at some point, but I was recently looking for them on my blog and they were nowhere to be found. So lets fix that! Here they are! Delicious and chewy peanut butter cookies with a Hershey's kiss placed right in the center. You just can't go wrong with the PB and chocolate combo, and they're easy enough that you can knock out a batch or two in no time. Goes perfectly with a tall glass of ice-cold milk. You could also pair them with a cozy mug of hot chocolate. Yum! Combine 1/2 cup sugar, brown sugar, butter and peanut butter in bowl. Beat at medium speed until light and fluffy. Add egg, vanilla and salt; continue beating until well mixed. Add flour and baking soda; beat at low speed, scraping bowl often, until well mixed. Shape dough into 1-inch balls. If dough is too soft, refrigerate 30-60 minutes. Bake 8-10 minutes or until very lightly golden brown. Immediately press 1 chocolate kiss in center of each cookie. Remove to cooling racks. I like my cookies to be on the chewier side, so I always slightly underbake them. This recipe directs to bake them for 8-10 minutes, so I take them out of the oven at 8 minutes. *I used turbinado sugar to roll them instead of regular sugar. It gives a little crunch and it makes them sparkly! And sparkly is always good! It seems to me that people either LOVE eggnog, or they absolutely despise it. There never seems to be any in-between, am I right? It's true!! I happen to fall squarely into the first category. Frankly, I've never met an eggnog I didn't like. So, of course, I like finding recipes that use it as a prominent ingredient. I've made eggnog cookies, eggnog spritz cookies, eggnog fudge, eggnog bread, and even an eggnog and cherry trifle. I LOVE it all!! So then I thought, oh! why not make ice cream? When you make ice cream, you start with a base, often with eggs and cream, then you add a few flavorings and then freeze it. Well, with eggnog, you already have the base, so it's perfect! And then all you need to do is add a few things to bump up the flavor. EASY! Yes, I thought of starting by making homemade eggnog, but then that would defeat the purpose of using the eggnog as a ready made ice cream base. Know what I mean? So I just threw a few things together, tasted it, adjusted it, tasted it again, and here's where I landed! I asked a few of my friends to taste it for me and they all gave a BIG thumbs ups! I must say, I'm pretty pleased with it as well. So if you're as much of a fan of eggnog as I am, you should ABSOLUTELY make this! And if you don't own an ice cream maker, perhaps you can add one to your Christmas wishlist! Enjoy! Simply stir all ingredients together and then chill in your ice cream maker according to package directions. Then transfer it to another container and place in the freezer until firm. That's all there is to it! 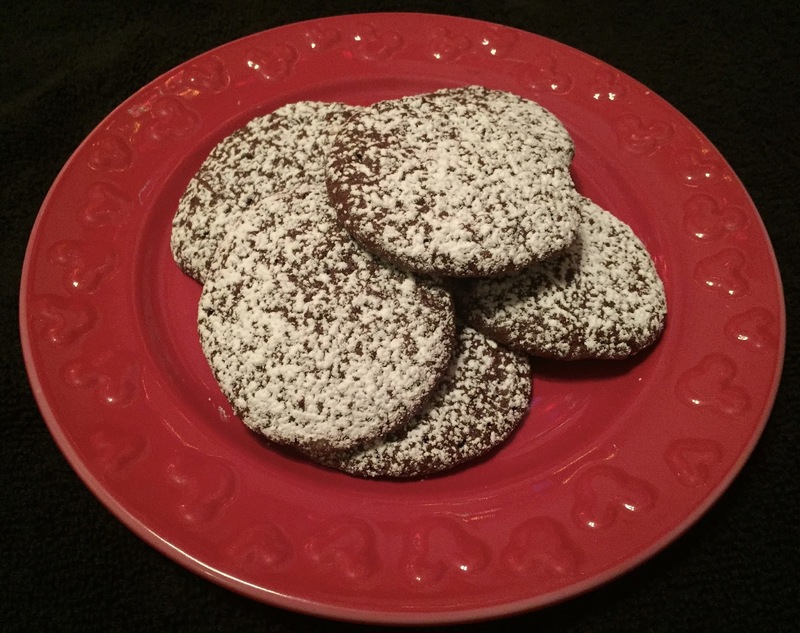 Serve with gingersnaps or your favorite sugar cookies. If you want to cut back a bit on the sugar, you can pull it back to 1/2 cup, but I wouldn't cut it back any further than that. Otherwise your finished product will be bland. I love finding new versions of familiar things. We've all heard of Red Velvet Cake, Apple Pie, and Oatmeal Raisin Cookies, right? But have you ever heard of Red Velvet Pancakes, Apple Pie Bread, and Oatmeal Raisin Cookie Cupcakes? Each one has the same flavor profiles as the original, but they've been kind of repurposed to come up with something new! That's exactly the idea behind this Snickerdoodle Bread. Fun, huh? It has the same wonderful cinnamon flavor as cookies, and it even has its signature cinnamon sugar sprinkled on top. AMAZING! Makes the whole house smell heavenly and it's perfect for gift giving too! If you like Snickerdoodles, I know you love it! Pre-heat over to 350F and spray two 8x4-inch loaf pans with floured cooking spray, or grease and flour the pans; set aside. Recipe could be made as mini loaves or muffins; baking times will vary. With an electric mixer, mix together the butter, sugars, eggs, vanilla, and beat on high power until creamed, light, and fluffy, about 3 to 4 minutes. Mix in sour cream. In a separate bowl, sift together 1 1/2 cups flour, cinnamon, baking powder, and salt. Slowly add to bowl, beating on low speed until just incorporated. Set aside. To a small bowl, add the cinnamon chips, sprinkle with 2 tablespoons flour, and toss to coat chips in flour (to prevent them from sinking while baking). Add contents of small bowl (chips and any excess flour) to mixing bowl and stir until just incorporated. Turn batter out into prepared pans, divided evenly. Batter is thick. Smooth the tops of pans lightly with a spatula; set aside. To a small bowl, add sugar, cinnamon, and stir to combine. Sprinkle topping mixture evenly over the loaf pans. Bake for about 45 to 50 minutes or until a toothpick inserted in the center comes out almost clean. Allow bread to cook in pan before inverting to a rack to remove from pan. When you invert the pan to a rack, do it over a towel or sink, otherwise all the extra cinnamon and sugar will go everywhere. Tastes great while it's still slightly warm. Also makes great French Toast or Bread Pudding! Every year, when work gets really really busy, my boss and I like to bake Christmas cookies for our customers, just to show our appreciation. Usually, I just bake a tray of Mom's Butter Cookies, but this year I decided to add these delicious lemon cookies to the mix. You don't often hear of thyme being used in a cookie, but I remembered seeing Martha Stewart making them, and I figured, why not? Actually, instead of using Martha's recipe, I decided to try this recipe that I found on a baking blog called Treats. It's just a simple shortbread recipe with the addition of lemon and thyme. Now, I know there might be one or two of you who are crinkling your nose at the thought of putting fresh herbs into a cookie, but seriously, you won't even believe how tasty it is! The flavors of lemon and thyme are quite simply a match made in heaven! The lemon is subtle without being overpowering, and the thyme rounds everything out. It's the kind of cookie you could imagine having with a nice cup of tea. In fact, several of my customers said exactly that! So whether they're for Christmas or an afternoon tea, You simply must give them a try. I know you'll love them! And since I get so many requests for "anything lemon", we can now add yet another new and different lemon thing to our repertoire! Great then! In the bowl of an electric mixer fitted with the paddle attachment, beat together butter and sugar until well combined, 1 to 2 minutes. Add lemon extract, vanilla extract, lemon zest, chopped thyme and salt. With the mixer on low, gradually add flour, scraping down sides of bowl as necessary. Continue mixing until well combined. Divide dough in half. Place one piece of dough on a large piece of plastic wrap; cover with a second piece of plastic wrap and roll out dough between plastic wrap to 1/4-inch thickness. Place on a baking sheet and transfer to refrigerator and chill until firm, about 45 minutes. Repeat process with remaining dough. Using a 2-inch round fluted cutter (or other shaped cutter), cut out dough, re-rolling scraps as necessary. Transfer to prepared baking sheets. Bake until firm, 12 to 14 minutes, or until lightly browned. Let cookies cool on baking sheets for 5 minutes; carefully transfer cookies to a wire rack and let cool completely. Instead of using plastic wrap, I rolled mine between two pieces of parchment paper. Use whichever you happen to have on hand. You can place them RIGHT next to each other on the baking tray because they don't spread out at all. So go right ahead and get as many on the tray as you can fit. It'll save you baking time. When I rolled mine, I rolled them VERY thin, so that they came out like little wafers. SO good! Tbh, I had no intention of doing that, but then it happened and I went with it. They were so crisp and delicious, I think I might stick to that idea the next time I make them. I sprinkled them with a little turbinado sugar before baking. I like the little sparkle and crunch that it brings to the party. I also kept thinking (since I had rolled them so thin), I bet they'd be great to make into a sandwich cookie. I wonder what kind of filling I could do... hmm.. maybe something lemony and buttery? I'll have to think on it a little more! I'm always trying to find Christmas cookies that are just slightly different, but still easy to bake. And of course, they have to be delicious! Well, here's one that fits the bill! Just looking at them, you'd think you're about to have your usual butter or shortbread cookie, right? Buttery, yes, but then you get hit with a nice burst of citrus. It's REALLY a nice blend of flavors! And you can already see how lovely they look on a plate. Add them to your mixed tray of cookies to add a festive touch! They're perfect with a cup of tea or an ice cold glass of milk. I betcha Santa would love them too! Leave him a plate of them on Christmas Eve, and you just might get a few extra presents! I'm not sayin, I'm just sayin! In the bowl of a stand mixer with the paddle attachment, cream the butter and sugar until fluffy. Add the vanilla, egg yolks, lemon zest and juice and orange zest and mix until combined. Use a rubber spatula to scrape the bowl, then mix again. Add the sifted flour and mix until combined. Transfer the dough to a resealable plastic bag and refrigerate until firm, at least 1 hour. When ready to make the cookies, preheat the oven to 300 degrees F. Line 2 baking sheets with parchment paper or silicone baking mats. Cut about 18 candied cherries in half. Roll the dough into small balls and set on the prepared baking sheets. Gently press 1 cherry half cut-side down into each ball. Bake about 20 minutes, removing the cookies from the oven before they brown. Cool on a wire rack. Btw, I forgot to mention that this recipe is Ree Drummond's. Just giving credit where it's due! Ok, let me start off by saying that I think this just might be your new favorite chocolate cookie. Now, you may ask "Is it really that good?" In a word, YES! It's seriously that good! I've tasted many different chocolate cookies and the brownie-ness of this one just puts it WAY ahead of the others. It's everything you want in a chocolate cookie. It has DEEP chocolate flavor and it's rich and fudgy and chewy, just like a brownie. SO GOOD! And the dusting of powdered sugar makes it look perfectly festive on a tray of holiday cookies. They're easy to make too! So, thanx go to Ree Drummond for the recipe. I'll definitely be making these again and again. You should too! Line a baking sheet with a silicone baking mat or parchment paper. Put the chocolate in a microwave-safe bowl and melt it in the microwave, 10 seconds at a time, until melted. Stir and let cool. Using an electric mixer, mix together the sugar and butter in a large bowl until totally combined. With the mixer on low, slowly drizzle in the cooled chocolate. Scrape the bowl and mix again. Mix in the eggs one at a time, then the vanilla. Scrape the bowl once more and mix. Combine the flour, cocoa powder, baking powder and salt in a bowl and stir it together. Add it in scoops to the mixing bowl with the mixer on low. Scrape the bowl once and mix one final time until all combined. Scoop generous tablespoons of the dough onto the prepared baking sheet, then bake until the cookies are poufy and set, 11 to 12 minutes. Let them sit on the baking sheet for 1 to 2 minutes, then remove them to a wire rack to cool completely. Repeat with the remaining dough. Once cool, sprinkle generously with powdered sugar. To make your cookies all the same size, use a tablespoon to measure your chilled dough, then roll it into balls before placing on your baking sheets and baking as directed. You'll end up with perfectly round cookies that are all the same size! Here's a simple and festive party appetizer for you. They're called Holiday Roll Ups and I saw them on Ree Drummond's show, Pioneer Woman. They're so easy, you don't even need to cook! You just mix up the filling ingredients, schmear 'em on some flour tortillas, and roll 'em up! Simple, right? The red and green bell peppers make them so festive and they're absolutely delicious. They're also a great time saver because you roll them ahead of time and then let them chill in the fridge to set up for a while. Before your guests arrive, slice them into rounds, and serve. Perfect party food! Oh, and here's a little party hint: Instead of placing all of your hors d'oevres on one big table, place them on smaller snack tables in several locations. Your guests will spread out and mingle a little more, instead of all hovering over the kitchen table. Clever, huh? Plan ahead, do things in advance, and your party will be a hit! In my opinion, the best holiday parties are simple and casual. Surround yourself with family and friends. Decorate with a few personal touches. Have some holiday music playing in the background. And, of course, serve some delicious picky-uppy foods that are easy to taste with just one hand (since you'll be holding a drink in the other). These roll ups fit right into that category. SO Good!! Definitely give 'em a try! Mix the cream cheese, ranch dressing mix and the black pepper together thoroughly. Spread the mixture on the tortillas, and then sprinkle over the diced bell peppers and green onions. Roll up tightly, wrap in plastic wrap and refrigerate until party time (for at least 1 hour). Slice into small wheels and serve. To cut carbs, I used low carb tortillas, but feel free to use any you like. Regular flour tortillas, or even red or green ones, for an added festive touch. All good! To make it even easier, I added all the filling ingredients together in the bowl of a stand mixer, (including the chopped peppers and green onions), mixed everything together and then proceeded as directed. Easy! For larger roll ups, use burrito size tortillas. For smaller bite sized roll ups, use taco size tortillas. Great then! A few weeks ago, I was in the mood to do some canning, so I decided to make a few jars of my Sweet Orange Marmalade. Out of all the jams and jellies I've made, this is definitely in my top 5 because it's has such a HUGE punch of fresh orange flavor without the bitterness that you might find in other marmalades. Anyway, I shared it with a few friends (just because that's how I roll), and I quickly got a text from my friend Alana that said "Sweet Orange Marmalade, for the win!" LOL I'm telling you, it's REALLY that good! But then I still had a few jars left, so I decided to see what else I could make with it. 'Tis the season for baking cookies, so I figured, why not? It didn't take me very long to find this recipe on Food.com and I loved them from the very first bite. They're a nice refreshing change from your usual vanilla cookie, and they're just as buttery and crispy and chewy as you want them to be. So there you have it. They're perfect for holiday entertaining, gift giving, and you should DEFINITELY bring them to your next cookie swap. Better make a few extra batches! In a large mixing bowl, cream together the butter and sugar. Add the egg and orange marmalade and mix until thoroughly combined. Add additional marmalade if the batter is too stiff. In another bowl, sift together the flour and baking powder. With the mixer running, slowly add the flour mixture to the creamed mixture until blended. 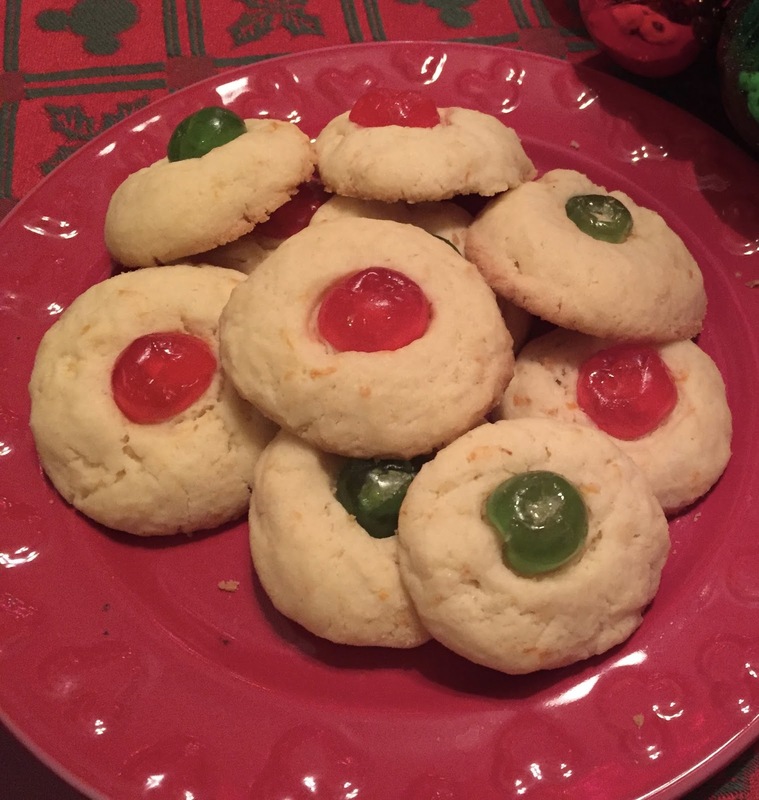 Drop by spoonfuls on the cookie sheet; do not crowd the cookies as the batter will spread during baking. Bake until the cookies spread out and are lightly browned, 8-10 minutes. Cool a minute or two on the cookie sheet before transferring to a wire rack to cool. Whenever I bake cookies, I ALWAYS chill the dough for at least 30 minutes, and I always use parchment. It's just makes everything so much easier. Just sayin! I wanted to add a little more orange flavor so I added a few tiny drops of pure orange extract. You can also add a bit of grated orange zest. To make perfectly round cookies, roll your measured tablespoonfuls of chilled dough into balls and then place them onto your baking sheet and bake as directed. This recipe makes a very small batch. I imagine you can probably double it! I suppose you could try this recipe with other flavors of jam or marmalade. Hmm.. I bet lemon would be delicious!! I'll let you know if I ever give it a try!